The new year is just around the corner, and we, the folks at Botmetric wanted to kick off 2018 with the resolution of starting a low cal diet. 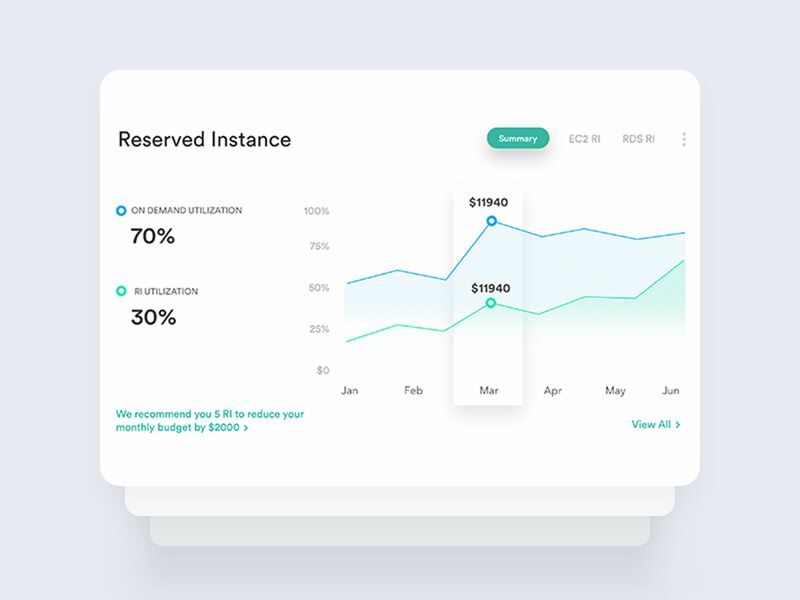 We hoped to include you in this lifestyle change, and thought: What could be better than giving our customers a cost governance visual diet dashboard? So, we hustled up and began to trim the fat out of the cost governance dashboard to make way for a cleaner, sleeker, and simpler experience. Our goal was to make sure your eyes thank you, while you browsed through the dashboard for cost insights. 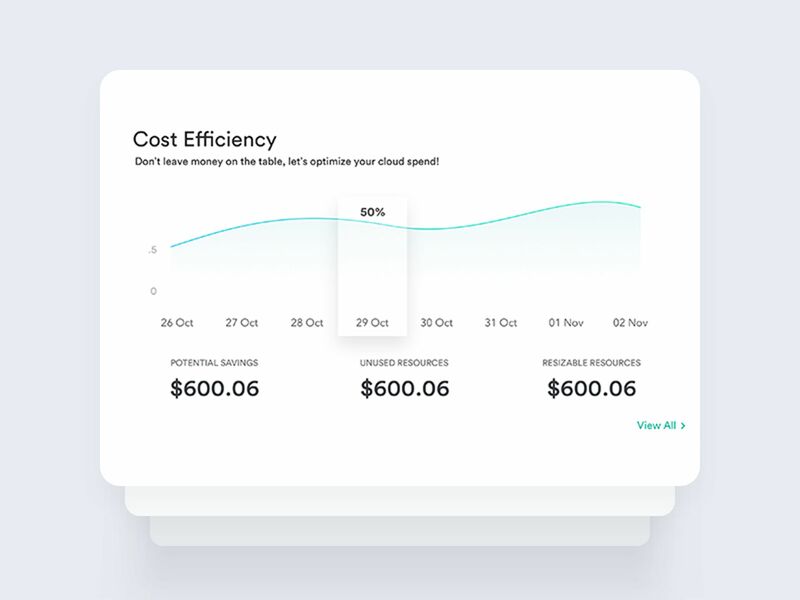 We targeted our efforts towards cost governance specifically, because it’s one of the most crucial aspects of cloud management, and we wanted to ensure it was clutter free for your consumption! Our design team has been hard at work over the past few months researching, prototyping, and building. We are thrilled to tell you that the new cost governance visual diet dashboard is finally here and ready to use! The objective of the redesign was simplifying the information architecture, updating our visual language, reducing cognitive load, and redesigning a clutter free visual dashboard. We figured that the best mantra to redesign the cost governance dashboard was the KISS principle. This meant cutting down unnecessary visual elements to create room for a more meaningful urban visual language in order to deliver the best value to you. Your business needs demand you to view a huge amount of data and interact with various UI components to plan your cloud infrastructure. But the data may not be organised in the most intuitive way. The new design’s priority is all about simplification which helps in solving these problems. This means that you can spend less time on our dashboard and still get the answers to all your cloud spend queries! Elementary Design – The new design hits the visual mark with an intuitive, sleek, simple, clear and user-friendly look. Critical cost information is easy to digest in the current dashboard. It’s all in the details – The new dashboard gives relevant cost information such as weekly, monthly, and quarterly spend analysis, compared to only the current month analysis in the old version. The dashboard now offers more focused and pinpointed information to meet your cost analysis needs. Lesser (widgets) is more – Unlike the previous design, the new dashboard isn’t cluttered with too many widgets. It doesn’t have a seperate recommendation widget on the right hand side of the screen. Instead, the revamped model cleverly generates space for a full dashboard ‘fit to view window’ by giving a recommendations tab within the existing widgets for a balanced healthy diet! For instance, EC2 and RDS recommendations, and RI utilization have been merged into a single widget in the recently developed model. Get a clearer and effortless outlook on cost information, with recommendations and graphs clubbed in a single widget. Fit to view window dashboard (standard screen size bigger than 1400 pixels) – No more scrolling away at your mouse to view cost governance information. Let’s face it! It’s just plain annoying and time consuming. The new design’s ‘fit to view window’ makes it possible for you to view all four widgets- spend overview, spend analysis, reserved instance and cost efficiency in a single eye glance. The new cost governance dashboard MENU consists of spend overview, spend analysis, reserved instances and cost efficiency. Read on to get a glimpse of what visual ingredients have been added and removed in the revamped dashboard widgets. The old dashboard was cluttered with too many elements such as dropdown select options. The new dashboard UX has a much more visually healthy pie chart, providing the total spend till date for the month. It gives spend overview on two tabs – by accounts and services. 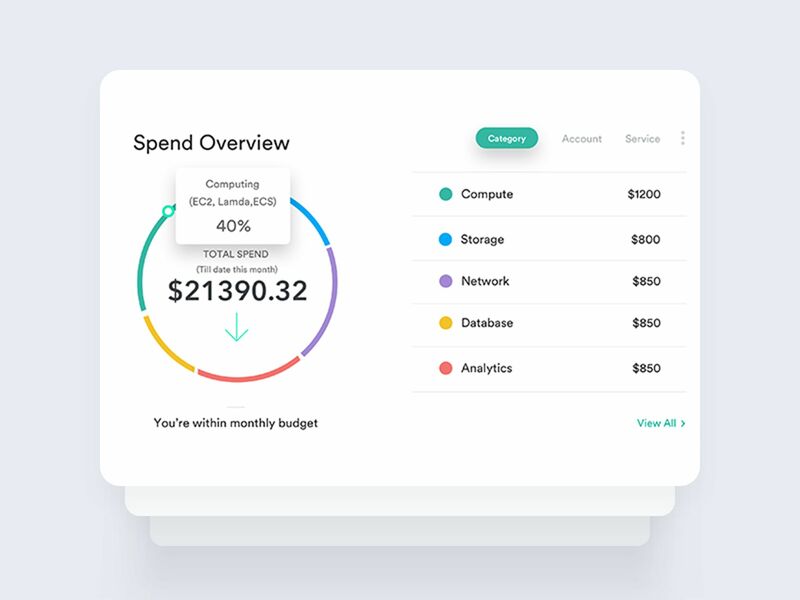 If you have configured budgeting under Botmetric’s budget module, then it also lets you know whether or not you’re within your monthly budget. We are in the process of incorporating an additional ‘category’ tab to give you a fresh visibility of compute, database, and storage cost in a multi cloud world. 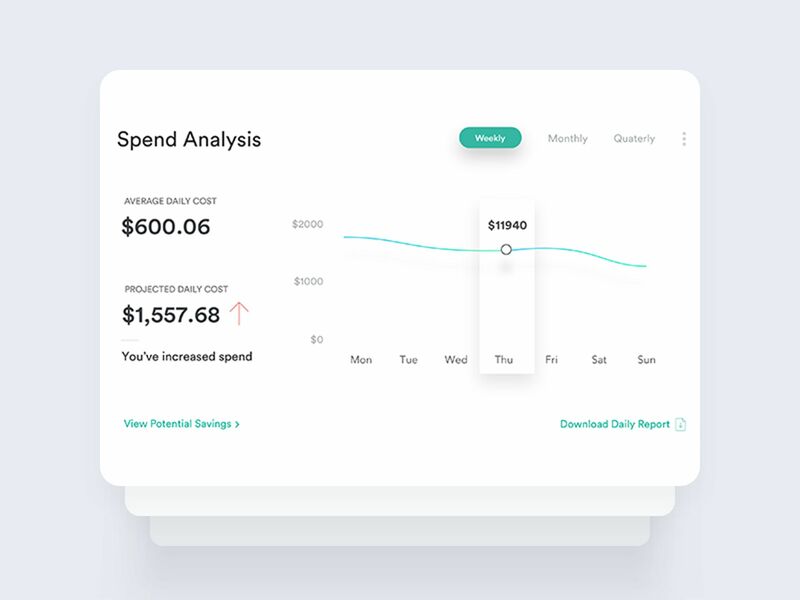 The new spend analysis widget simplifies the cost analytics data into one view: You can choose from a weekly, monthly or quarterly segmentation. The spend analysis widget also helps you keep track of your cloud spend’s current ‘structure’. Relatively, the old ‘overview’ widget had an ambiguous progress bar, only giving you details about last month’s spend at that time. The new cost governance dashboard is more organised, with just the right amount of intuitive cost insights you would need, to keep an eye on your business spend patterns. With the new cost governance dashboard, you get three wholesome portions in the same plate – Summary, EC2 RI, and RDS RI in a single widget. The summary provides the same information as the old dashboard – RI utilization information: a comparison graph of reserved hours with total hours.The significant difference here, including all the other widgets is the redesigned interface. It is far more visually edible.The current design also has a separate view for EC2 RI and RDS RI. As mentioned earlier, the extra load of having separate widgets for recommendations and graph are reduced to a single RI widget. Both the old (potential savings) and new (cost efficiency) widgets provide figures on potential savings, unused resources, and resizable resources, along with a cost efficiency graph for quick visibility into the history of spend. The only changes are in terms of how the information has been packaged. The present dashboard has an improved user experience, organised design, reduced information overload and insights based on percentage value. This tells you if your cloud cost fitness is optimized or needs an optimization workout. Now that you know a little about the brand new cost governance dashboard, we invite you to experience Botmetric’s new sleek dashboard user experience. Play around and experiment with the new additions, and familiarize yourself with the contemporary design. Let us know if you have inputs to improve it further. Just as a healthy clean diet is easier on the stomach, our visually clean dashboard will be easier for consumption by your brain and eyes. So what’s the hold up? Login to your account this minute to see the new dashboard menu. This is just the beginning. While we plan to bring in more sleek designs, improvements in user experiences, and simplified features in the coming year, we look forward to your honest feedback on our approach.